A 19-year-old student who bit a police officer while drunk has been sentenced to four months of detention. A 19-year-old who bit a police officer while drunk has been sentenced to four months of detention. The man, surnamed Lu, a student at a local university's film school, drank with friends at a bar on January 19, then went to a karaoke lounge in a shopping center in Jing'an District around 4am the next day, according to the Jing'an District People's Court. Lu said he fell asleep on a couch but then felt he being hit by someone. However, he couldn't remember what happened clearly and when he came to, he was already at the police station. Surveillance video shows that Lu caused trouble in the lounge and bit the finger of a woman surnamed Chen. His friends then called the police. 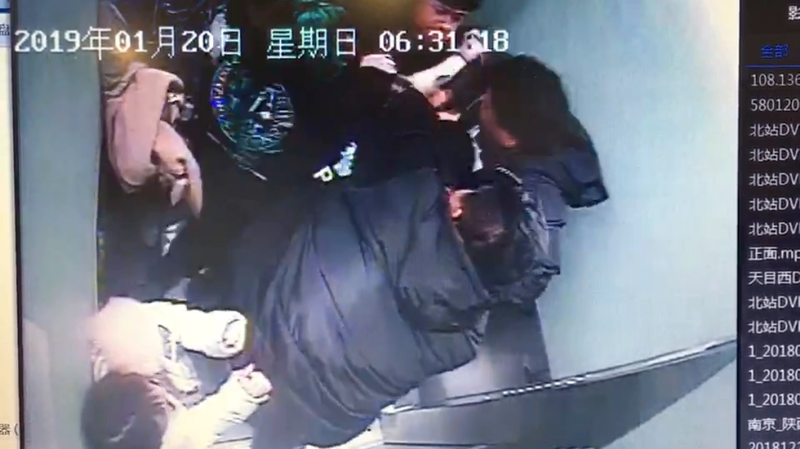 When police officers arrived and tried to take Lu to the police station, Lu caught an officer named Zhu by the head and attempted to bite his face. However, Zhu used his left hand to block Lu's attack and was bitten on the hand. At the police station, Lu watched a video of the incident. He said he regretted what he did and apologized. He confessed to the crime, and said he was not aware of what he had been doing.